I read this article and found it very interesting, thought it might be something for you. 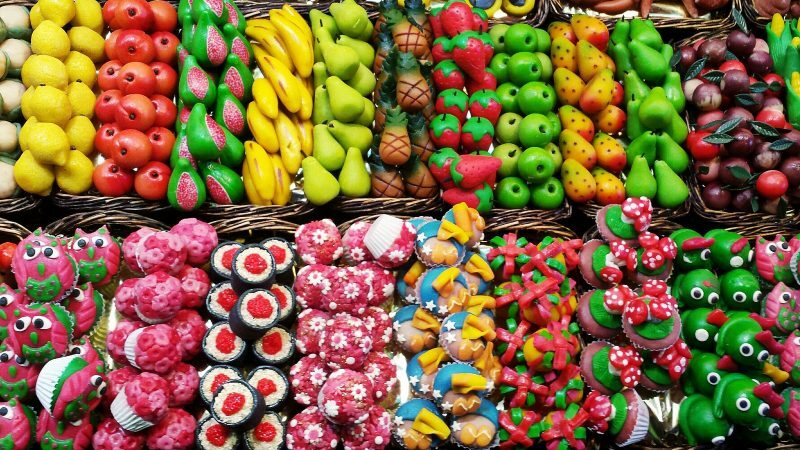 The article is called 20 Unique Sweets to Eat in Spain and is located at http://trip-n-travel.com/listicle/19930/. 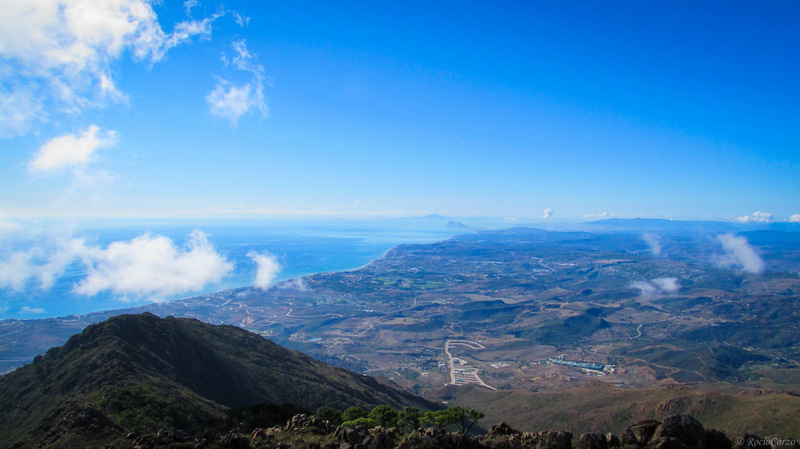 Spain is often associated with its yummy desserts such as dairy or fruit-based products. 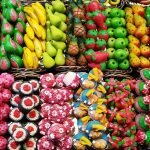 Never miss the chance to divulge your experience on Spanish local sweets. Plenty of stores are selling pastries, ice creams, cakes, tarts, chocolates, cookies, puddings, pies, and more. Desserts are often consumed after a delectable meal. Otherwise known as a cake of St. James, Tarta de Santiago is an almond tart made from ground almonds, sugar, and eggs. To add flavor, you may include sweet wine or lemon zest, or other sweeteners depending on your preference. The pie is topped with powdered sugar. To finish, a cross of St. James is embossed on top. 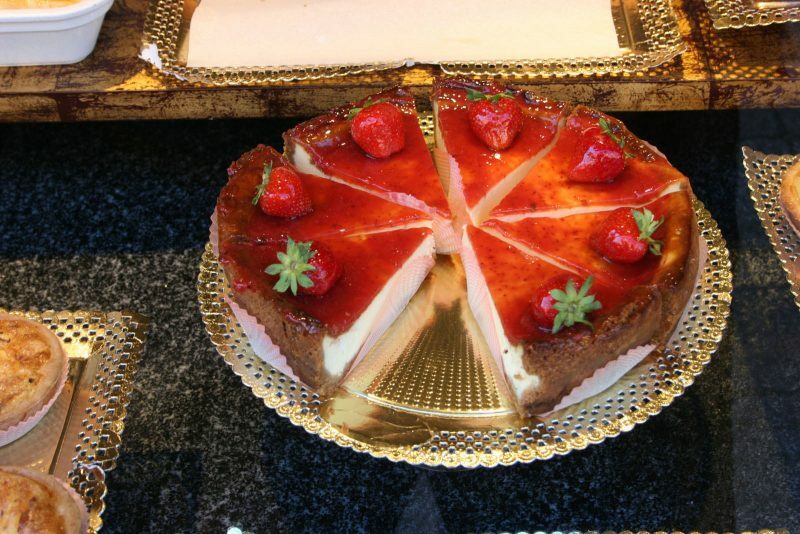 Tarta de Queso may be translated to cheesecake. Everyone seems to love cheesecake especially the ones with more layers. The thickest layer consists of fresh cheese, which makes this dessert extra special. The base is usually made from sponge cake. For toppings, whipped cream, chocolate syrup or a small fruit is presented. 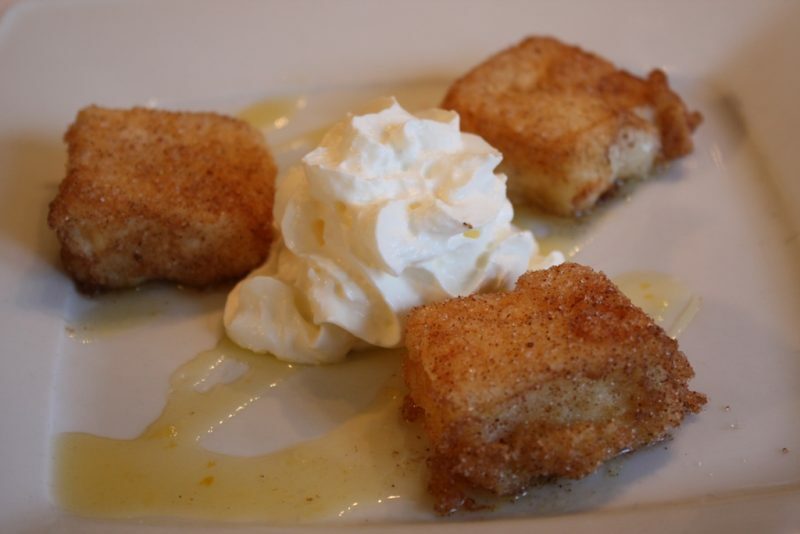 During Lent and Holy Week, torrija is customarily served in every household. Its main ingredients include sliced bread soaked in milk, honey or wine. Then, it is dipped in egg and fried using olive oil. As a result, it is crispy on the outside yet smooth inside. Cinnamon is sprinkled on top to add more flavor. In Andalusia, southern Spain, Tocinillo de Cielo is a well-liked dessert served for the visitors. This is also known as Heavenly Custard, using only a few basic ingredients. This is very similar to the Spanish Flan but, lighter and sweeter. It is super tasty and rewarding after taking just a small bite. 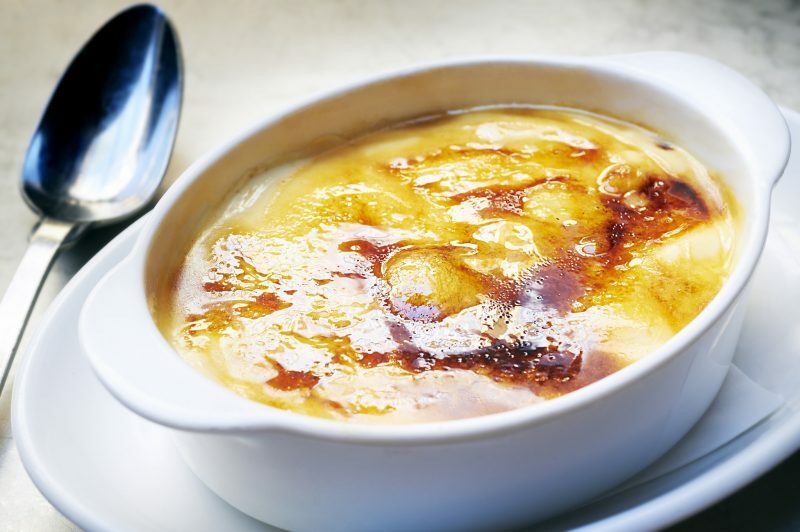 Often referred as creme brulee, Crema Catalana (Catalan Cream) is a famous dessert consisting of custard base with hard enamel. Conventionally, the base is flavored with vanilla or caramel. 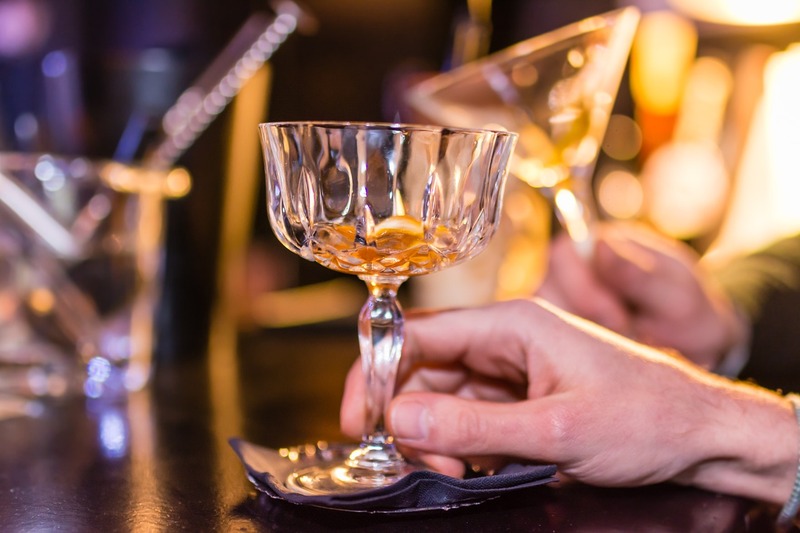 It can be served when chilled but, best served at room temperature. The Crema Catalana is available in most dessert shops in Spain. Churros are fried dough pastries that are usually long and thick while others are thin and knotted. 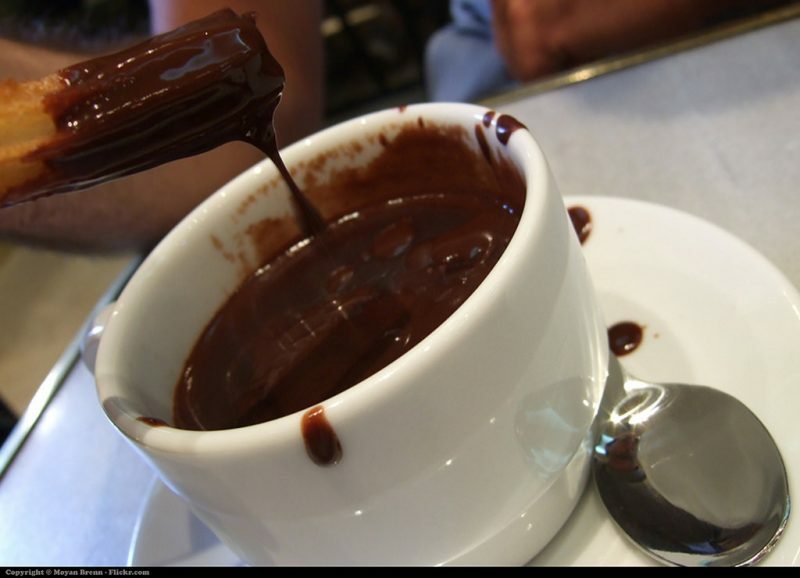 It is commonly dipped or drizzled in chocolate sauce or dulce de leche. Best served hot, churros are often consumed as breakfast or snacks. Not only will the kids love this but, adults as well. 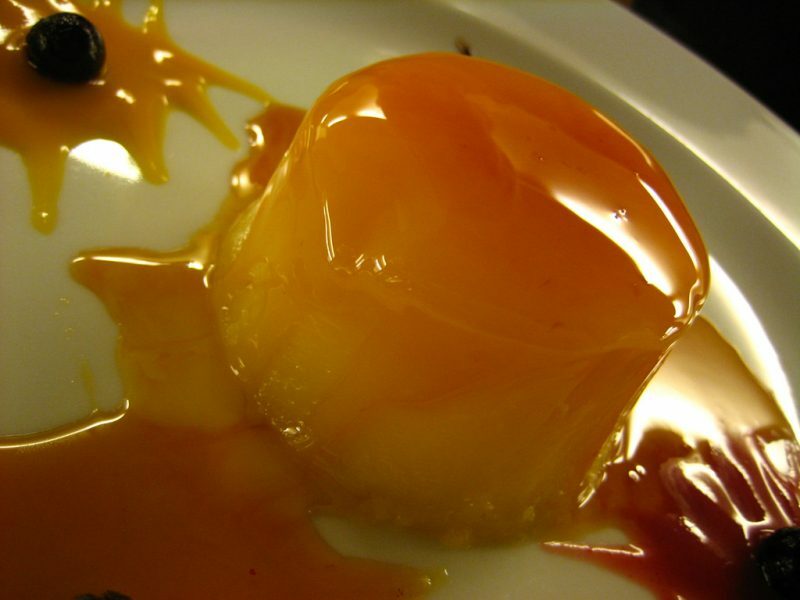 The Spanish Flan has got to be the most famous dessert in all of the Spain. This vanilla egg custard with caramel sauce on top is absolutely mouth-watering. You can’t go without having to taste the Spanish flan during your entire travel in Spain. 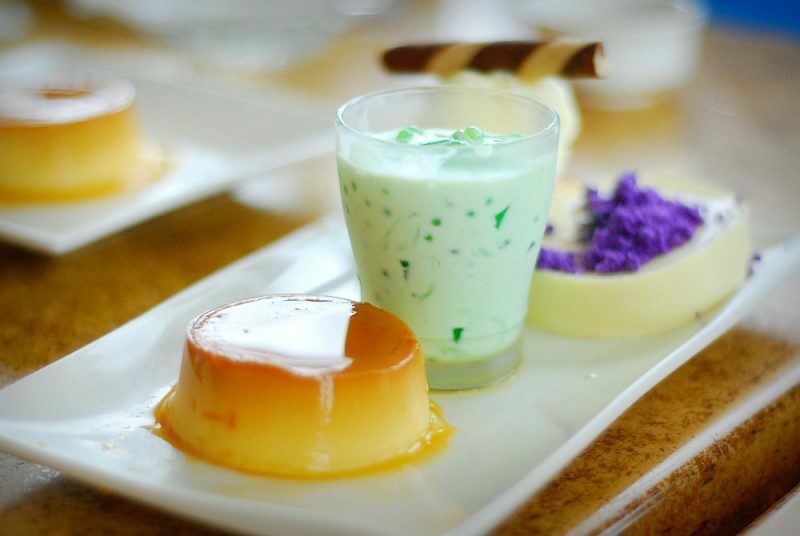 You can choose from vanilla flan, coconut flan, egg flan, cheese flan, and others. Miguelitos is a type of cake made from La Roda, Spain. It is a soft puff pastry with cream filling and covered with sugar. You just can’t get enough of these tall squares of fluffy dough. 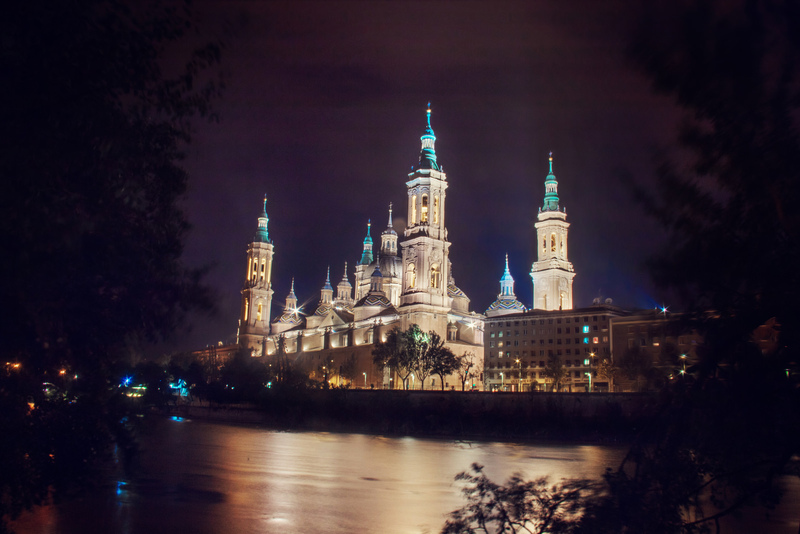 Allow yourself to savor the authentic Miguelitos served in Spain. This is best eaten with white coffee. Turron is considered as the best Spanish candy in the world. During Christmas season, the Spanish turron is never absent on the table. The common ingredients for turron are honey, sugar, almonds, and eggs. 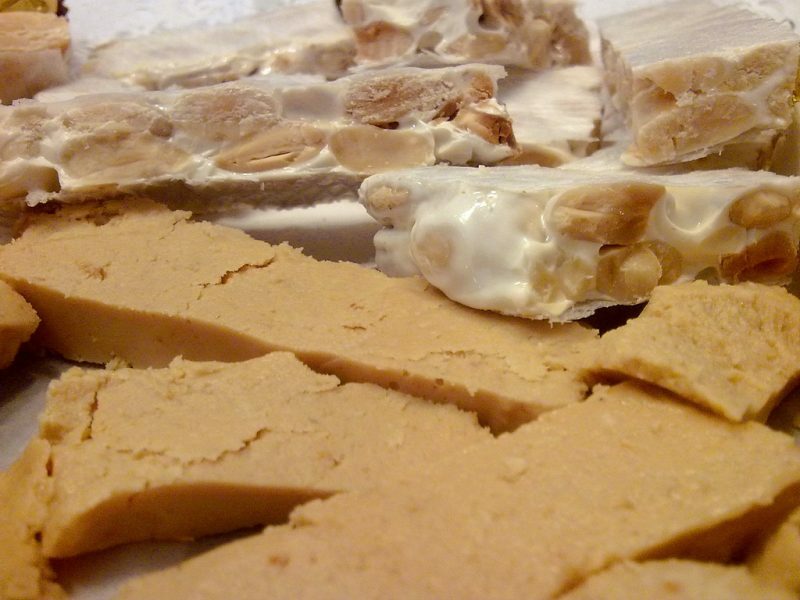 Turron can be classified as turron duro or hard and crunchy (Alicante) and turron blando or soft (Jijona). Mantecados or Spanish crumble cakes are soft and will immediately melt in your mouth. This is another Christmas favorite, especially for the kids. The Mantecados is often compared to Polvorones. Mantecados are made with lards, have more variety of flavors and does not use almonds, unlike polvorones. Taste both and compare it. A Spanish shortbread made from sugar, milk, nuts and flour. It is used to be a popular Spanish Christmas delicacy but, it is now available all year round. 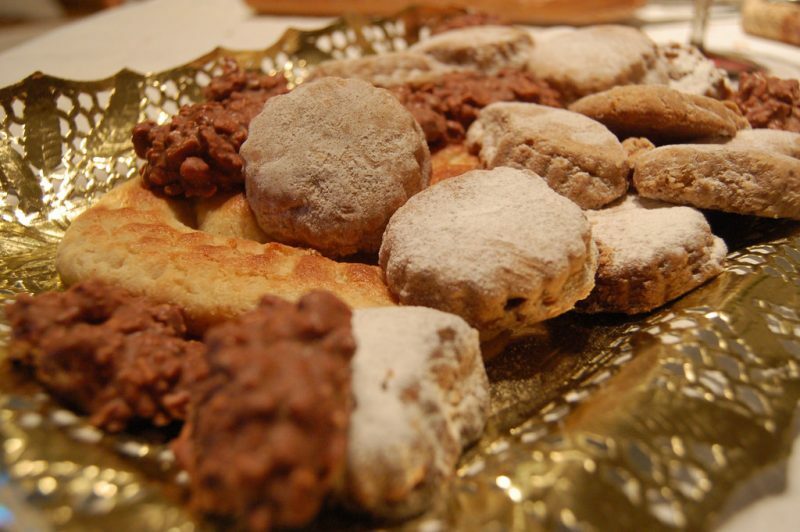 About 70 factories producing polvorones are located in Andalusia. Bring home polvorones as your food souvenir from traveling in Spain. Everyone will certainly love it. Also known as hazelnut custard, Natillas de Avellanas make a good Spanish dessert. Spain is one of the top producers of hazelnuts in the world. It is guaranteed that the hazelnuts are fresh in most dessert shops in Spain. The hazelnut spread for croissants and toasted bread is also popular. A typical Spanish dessert, Bunuelos de Viento is easy to make. These are lightly fried and sprinkled with powdered sugar. It is also filled with cream or egg custard. These round, fluffy bunuelos are perfect during your afternoon snack. Check out some snack bars serving bunuelos and other Spanish sweets. Marzipan is a confection made from sugar and ground almonds. Marzipan is often used as a cake ingredient. In some countries, it is used to shape small figures of animals, especially during New Year. They are just too cute to eat. Others use it as toppings on cupcakes. They appear colorful and beautifully designed. With an alternative name of borrachuelos, pestiños is yet another sweet pastry in Spain. A piece of dough is deep fried in olive oil with sugar. This honey-coated sweet is a popular pastry during Holy Week and Christmas season, especially in southern Spain. 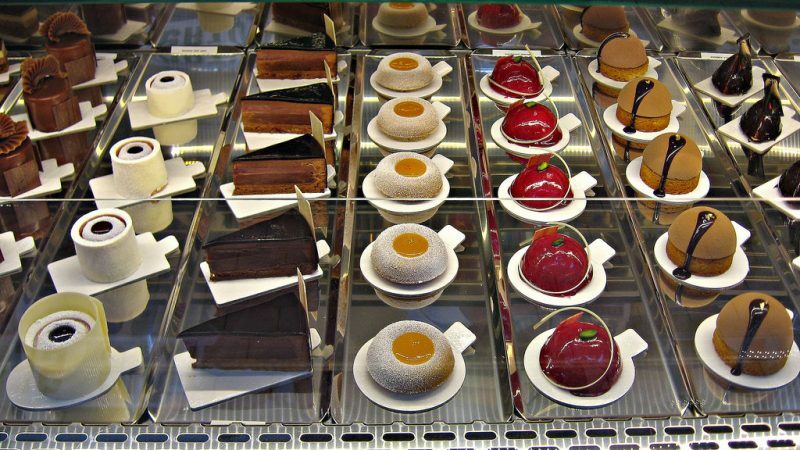 Visit famous pastry bars to taste the delicious pestiños. 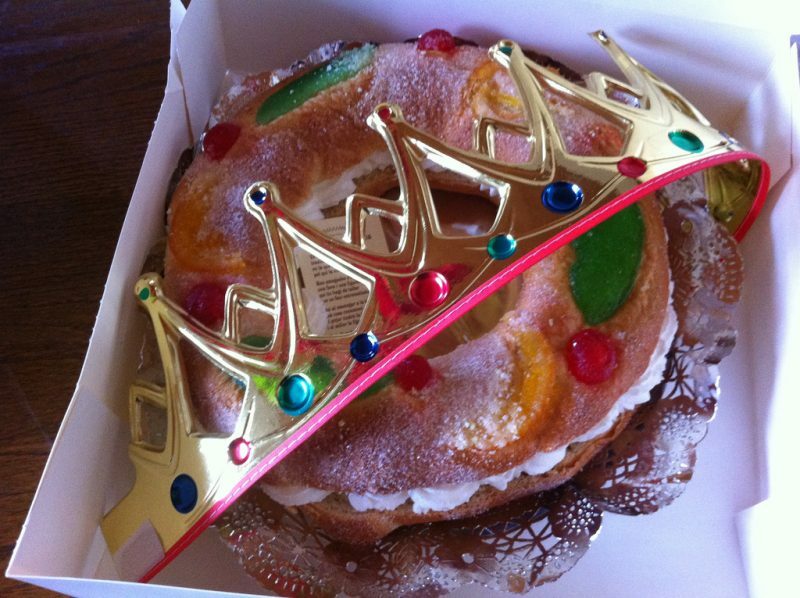 Oftentimes referred as king’s ring, the Roscon de Reyes is a round or oval cake pastry consumed during the Three Kings Day (January 6) in Spain. As decorations, figs, cherries or candied fruits are used. Traditionally speaking, a small figurine of Baby Jesus is hidden in the cake. Whoever finds it is blessed and must take it in Church on February 2 (Presentation of Jesus in the Temple). A famous dessert originally from the Canary Islands, frangollo has made noise in the Spanish market. This is made from milk, butter, cinnamon, almonds, millet flour, raisins, and almonds. This is best topped with caramel sauce. This is an easy dessert recipe. In restaurants, it is available especially during lunch time. Tortas de Aceite (Spanish olive oil tortas) is a thin, crisp and flaky sweet biscuit. Others may not seem to like its appearance but, the taste can definitely make you have second thoughts. This is a delicious snack treat not only for the children. Although unappealing, tourists must try this. Leche frita or fried milk is a famous Spanish sweet. 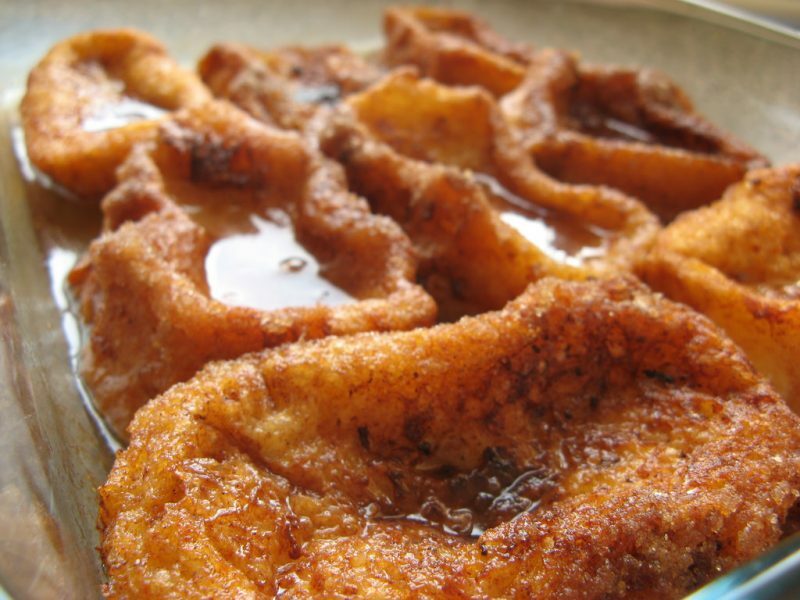 Flour, milk, sugar and cinnamon are the main ingredients of this palatable sweet snack. This is finished with a drizzle of sugar glaze and sprinkled with cinnamon. Leche frita originated in Toledo and spread throughout the country as time passed. 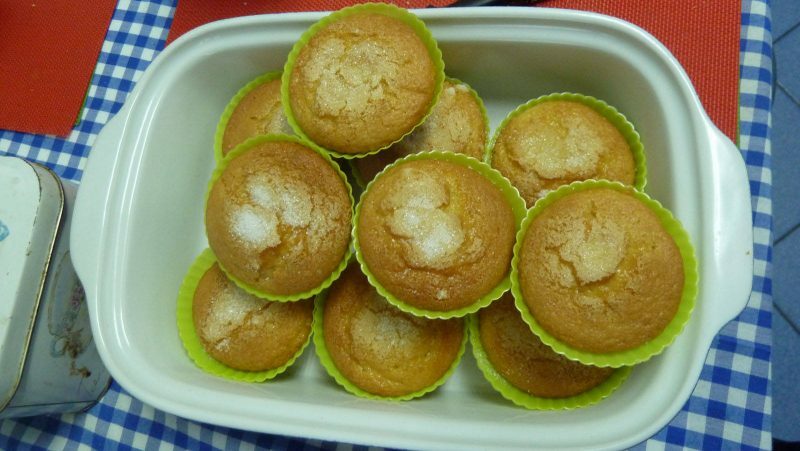 Magdalenas are similar to muffins or cupcakes that are sweet, light and fluffy. Originated in Aragon, it is traditionally eaten during breakfast. Most bakeries in Spain are selling magdalenas so, you won’t have a hard time looking for one. Don’t forget to order and taste the Spanish Magdalenas while you are in Spain.